On November 18th, 2009 Jorge Chojolan came to Lyndon State College and told his story about the foundation of his school in Guatemala called Miguel Angel Asturias Academy. He set up this school for children who can’t afford daily education. Chojolan talked about how he had a hard life when he was younger, and he wanted to make a change in his life. He started the Miguel Angel Academy because he knew that there were many people like him that weren’t able to get a good education. At the presentation, Chojolan, along with a translator, gave several figures about Guatemala and it’s education, and those figures proved that not many children get any education due to poverty. 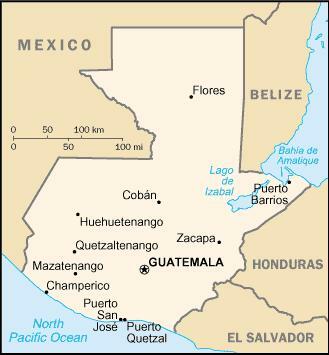 Around 80% of Guatemala’s people are poor and make less than $3 a day. There are nearly two million people who are illiterate and only one out of ten children enter high school. In 2007, there were only 51 public schools and 210 private schools in the country. All of those figures were disturbing to Chojolan, so that’s why he formed the Miguel Angel Academy. His academy gives access to education for poor children. The school only charges $10 a month for schooling, and if a family can’t afford the payments, the school gives the family a scholarship to attend the school. The school focuses on teaching them to think and to teach reality. From 1995 to 2009 over 2,500 children have been educated thanks to the academy. The mission of the school overall is to transform Guatemala. The next steps for the school is to improve salaries, furnish four classrooms, construct a third floor, and maybe even open another school. After Chojolan spoke, two other spokespeople for the school and the program clarified some of what Chojolan said, and how American citizens can help Guatemala and the school. They then showed a video about why people should help out Chojolan’s program. Most of the presentation seemed like a promotional stunt for the program that Chojolan and others created. They didn’t really give specific details about the trip they offered to students who wanted to help the school and Guatemala, and they make the trip seem like more of a vacation than a “mission”. The video they showed looked like one big commercial for Guatemala. They never gave out numbers on how much the program would cost, which it would probably cost in the thousands to go. Those costs would probably include travel, food, lodging, some money towards the school, and payment to the Chojolan and the two other spokespeople to make these presentations/promotional stunts at other school. Chojolan’s school seemed like a great thing for Guatemala, but it seems like they were a lot of hidden figures that the spokespeople weren’t giving us, like on how they afford to run the school on $360 a year from only a handful of students. Also another hidden figure was who pays for Chojolan and the two spokespeople to travel around to schools to promote their program. One of the spokespeople said that a council paid for them to come to Lyndon State College, but they probably didn’t pay for all of the costs. That would have been wicked expensive (lodging, flight, food costs), probably several hundred dollars for each person. While I thought Chojolan’s presentation was insightful, overall I think most of the presentation was a little bit of a promotional stunt. On November 11, 2009, America celebrated Veteran’s Day. Veterans Day is when America honors military veterans. The past several Veteran’s Days have meant a lot to Americans, because we have had so many soldiers fighting in wars. Many lives have been touched by the war we’re in, because a lot of people are related to soldiers or know a soldier that has fought in the war. Lyndon State College hosted an event on Veteran’s Day to honor soldiers. They did this by having a veteran speak at the event, and have the college chorus sing a song at the event. Not many people attended the event which was unfortunate, and that kind of symbolized how many people don’t recognize the holiday. A lot of older people celebrate the holiday, but a lot of younger people don’t. More people should celebrate this holiday because soldiers do a lot for our country. Soldiers risk their lives everyday when their fighting in a war. They protect our country and our country’s rights. Our country should do a lot more about recognizing Veteran’s Day because soldiers don’t get enough thanks for what they do. Democrat George Till represents Jericho, Vermont in the House of Representatives. He was born in Pittsburgh, Pennsylvania and graduated from Haverford College in Haverford, Pennsylvania. He went onto graduate school and got his graduate degree from The University of Pennsylvania School of Medicine. Till completed his residency in Obstetrics and Gynaecology at the University of California San Fransisco. Since 1988 he has been a private physician in Essex Junction, Vermont at Champlain Obstetrics and Gynaecology. He also is an associate professor of OBGYN at The University of Vermont School of Medicine. Till married his wife Ann in 1984 and has two daughters and a son. Till was elected in 2008 to represent Jericho after Gaye Symington ran for Vermont governor. Healthcare and education are major issues for Till. He is vice-chair for the Mount Mansfield Union School Board, Finance committee chair, and Chittenden East Supervisory Union Executive Committee. He also founded the Mount Mansfield Youth Lacrosse Club and coached for twelve years. Lyndon State College recently added a multi-million dollar addition to the T.N. Vail Building on campus. The addition includes dozens of classrooms and several professor offices. Most of the classrooms are up-to-date, with smart boards, computers, and projectors. There are two departments that use the building, and they are the meteorology and business departments. Several other departments use the building for classes, but it’s really only the business and meteorology majors that use it. The building cost the college around $10 million, and a lot of it is going to be paid for by current and future students. I did an unscientific survey about how people feel about the new building, and most people I talked to were not happy about the new building being built. The people who were not happy about the new building were people who had no classes or minimal classes in the new building. They weren’t happy because they have to pay for a building that they barely use, and they wondered why the business and meteorology departments got priority to use the building. They also wondered why it was built, and what’s happening with the old spaces that the business and meteorology majors used to occupy. Was there an increase in student population to add the addition? The people who didn’t mind the new addition were people that had two or more classes in the building. They felt like they were at least getting some use out of the building, so it was somewhat worth their money. All of the people I talked to said that the building was very nice, but obviously some differed on whether or not it was worth to build the addition. The people who weren’t happy about the new addition hoped they would have more than two classes in the building next year so it would be worth the money their paying for it. They also hoped to see more departments in the building, other than the business and meteorology majors.